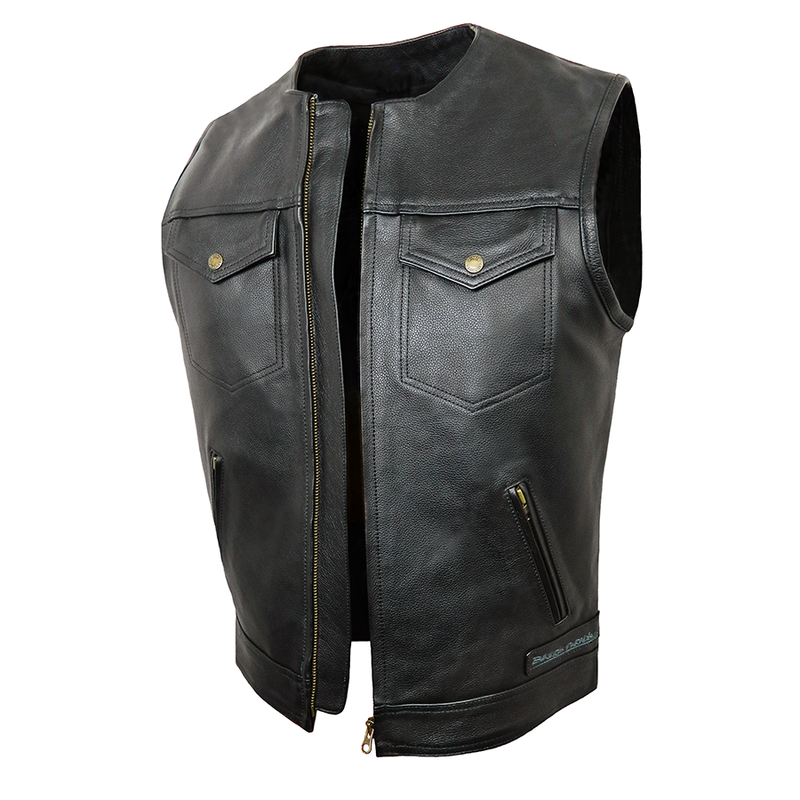 Made in the finest quality 1.1 cowhide leather. 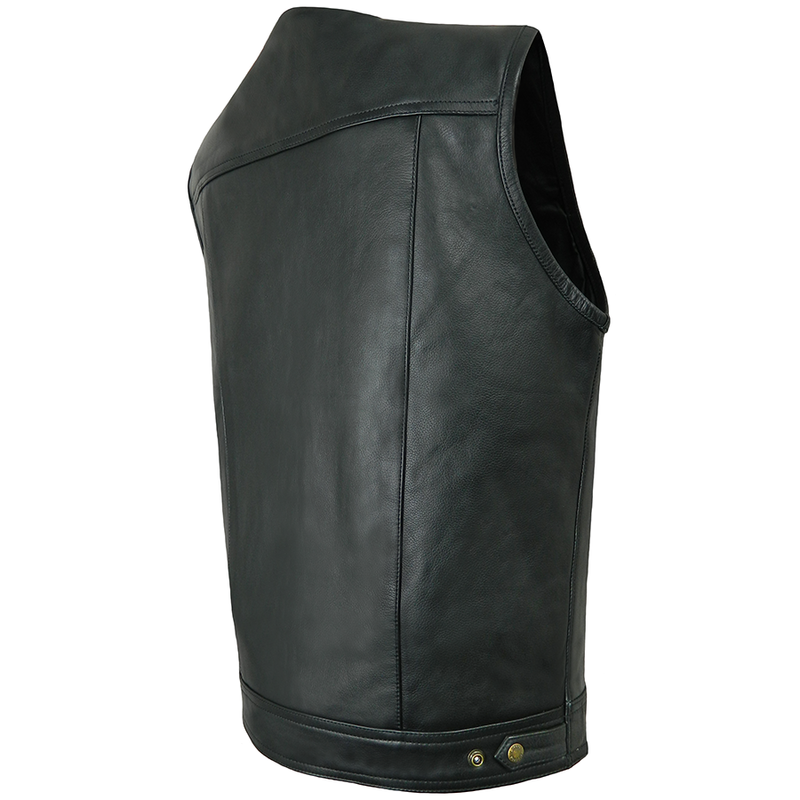 Heavy duty front brass, metal zip fastening with leather wind flap behind. Two brass, metal zipped external pockets and two press studded external chest pockets. 100% cotton lined with one internal zipped pocket, one internal open pocket and an internal mobile phone pocket. Very versatile waistcoat as can be worn over a jacket.